The Air Pin Box has 4 air bags tied together for no bounce and no rigid points. Why stop half way with rubber, let air complete the ride. Don’t just dampen it, air it. If you want a smoother ride and the ultimate in control, then you need the AirSafe advantage for your Air Pin Box. With an AirSafe Pin Box hitch you will get a 60% smoother ride than with a traditional hitch, which can save you a lot of money. Glide across the highways and roads avoiding the constant bouncing, which leads to a decrease in gas mileage and early wear and tear on your tires. Our AirSafe Air Pin Box hitches also reduce stress on your truck and trailer suspension, and help eliminate breakages inside the trailer. With Pin Box hitches from AirSafe, safety is our primary concern. Our Air Ride Hitches only allow 10% of the trailer inertia to transfer compared to 100% when using a hard connection. We have also practically eliminated all sway, and since the weight is evenly distributed between the tow vehicle and the trailer, it increases your braking control. 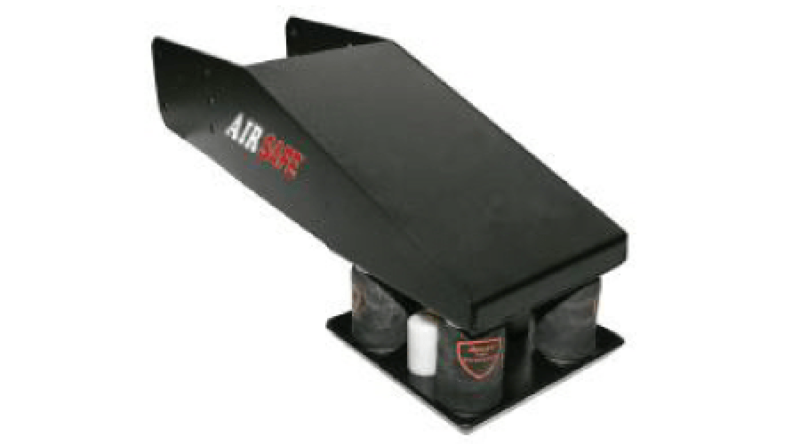 The standard AirSafe Air Pin Box hitch is adjustable to allow you to pull a level trailer, and there is never a need to release air when you disconnect or to re-inflate when you re-connect. Our standard Pin Box hitch can tow up to 21,000 lbs GTW and 4,000 lbs of Pin Weight. Our self-lubricating composite material moves in multiple directions, which causes less wear and tear but still allows you to maintain a level position with the trailer. Our “True Air” Air Ride system absorbs the twisting action normally found in other hitches, extending the life of your suspension. Safety, savings and a smooth ride? 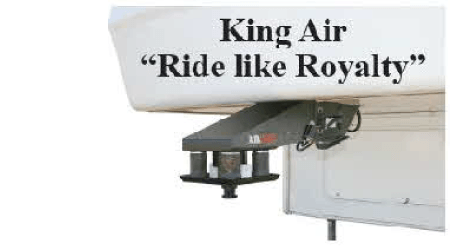 Are there any better reasons than to get an AirSafe Air Pin Box hitch? Well just in case you need another, we make it affordable too.